Yes, remittances sent via cryptocurrency like Bitcoin will be an important use case of the technology, enabling our overseas foreign workers (OFWs) to save on the cost of expensive fees from wire-transfer services like Western Union. Remittances will only help Filipinos abroad, however. 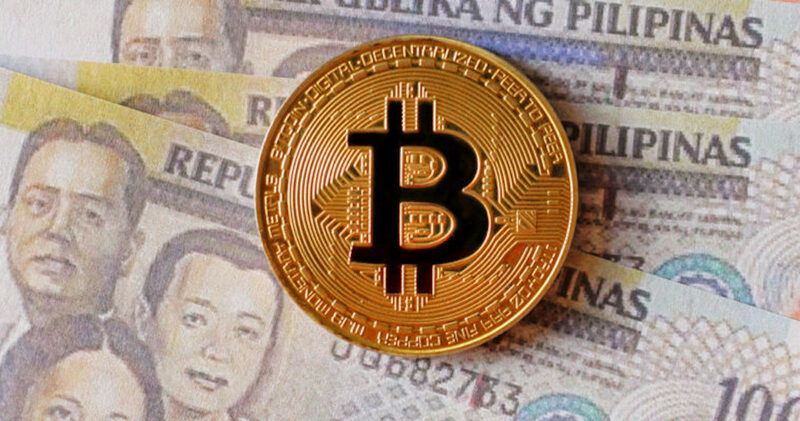 A comparatively much bigger application of cryptocurrency is how it can potentially transform our retail landscape back here at home in the Philippines. Cryptocurrency has yet to unfortunately make inroads in our stores, so we’ll have to look across the ocean to Hong Kong for a successful example. Just this month, the FAMA Group — a Hong Kong conglomerate that operates the Hive Cafe, Sohofama, SUPAFOOD, and Locofama — installed Pundi X POS at their restaurants. Any food operator that rolls out a new point-of-sale system is making a big change, but the Pundi X POS represents an exponential leap for the FAMA Group. The most important distinction of the Pundi X POS is that it can accept cryptocurrencies like Bitcoin, Ethereum, and NPXS. All in-store customers need to do is use a mobile wallet, the Pundi X Pass card, or local fiat money (in this case: Hong Kong dollars). They can then effectively buy their meals using cryptocurrency as their mode of payment. For someone to fully appreciate the significance of this functionality, it’s important to first understand the history of cryptocurrency to date. Experts, analysts, and pundits have predicted many different ways that cryptocurrency can change our financial world, but its real world applications have been limited, to put it mildly. You can see this in the headlines. A sizeable amount of cryptocurrency news focuses on its current market price, whether its bullish or bearish, and whether people expect it to uptrend or downtrend further. This coverage reflects what the vast majority of people are using cryptocurrency for: They are using it as a speculative investment (i.e. buy low, sell high), rather than as a digital currency. People see it as an avenue toward wealth accumulation, even in the Philippines. While cryptocurrency has yet to fulfil its potential as a digital currency, it still can do so one day. That’s why the FAMA Group’s deployment of the Pundi X POS is significant: It gives cryptocurrency enthusiasts a way to spend their coins toward items with real world value. Since cryptocurrency enthusiasts tend to be a fervent bunch, businesses that give them this outlet tend to experience a bump in sales. These include both large retailers — in addition to its average of $50,000 weekly sales in Bitcoin, Overstock.com’s profits increased even more through the appreciation of the coin — and small businesses like clothing retailer ThatShirtWasCash reported a 20% increase in sales on Black Friday after they started accepting Bitcoin payment. Filipino retailers forward-thinking enough to accept cryptocurrency through a point-of-sale solution like Pundi X POS will experience a similar rise in sales. Some might argue that as more stores accept cryptocurrency, the novelty will wear off, causing related sales to slump or plateau. I would argue otherwise. People turn to solutions like Pundi X POS not because of curiosity, but due to convenience. It’s the same effect as when previously cash-only stores begin to accept credit or debit cards through a payment terminal — they get more customers, as not everyone had cash with them all the time and they found it convenient to pay with plastic. The same will happen to companies that accept cryptocurrency — they will get more customers, as people will find it convenient to pay with digital currencies. The impetus for Philippine brands, of course, is not just tapping into the demographic of people who already possess cryptocurrency, but in encouraging others who do not to one day transact with digital currency. The shift is inevitable. As cryptocurrency gains a foothold in retail outlets, normal consumers will also want to try paying via digital currency, after they see how easy it is for others to do. The value for Philippine brands is this double-down effect: They not only get the initial surge of spending from cryptocurrency enthusiasts, but they also get the normal consumers who will follow in their wake. While cryptocurrency will benefit Philippine’s retail industry, adopting it is of course easier said than done. It’s not easy to embrace new technology, especially in a consumer-facing setting like a store, where anything can happen. Retail operators must refuse to give into the status quo and think ahead of the curve: What others project as technology of the future, you integrate and benefit from today. This article was contributed by Kaiser Dapar. Kaiser is a cryptocurrency and blockchain enthusiast. He is also the Chief Technology Officer of Graventure and the founder of PSE tools, a resource platform for stock market intelligence in the Philippines.